Jammu 09 April : Under the aegis of the Directorate of Physical Education, Central University of Jammu, the annual Sports Meet of the University was held in the campus premises on 9th April, 2019. The Vice Chancellor, Prof. Ashok Aima declared the sports meet open in the morning by lighting the ceremonial Torch, which was followed by a Torch Relay and a series of sports events like 100 mts race, Volley Ball, Kabaddi, shotput, kho kho and indoor games competitions like Chess, Carom and Table Tennis. In addition to this, the Directorate had collaborated with District legal Services Authority Samba for making the event more socially relevant by organising participation of specially abled children. Secretary DLSA, Ms. Swati Gupta coordinated the participation of children. The stimulating and energising sports events culminated in the prize distribution function. 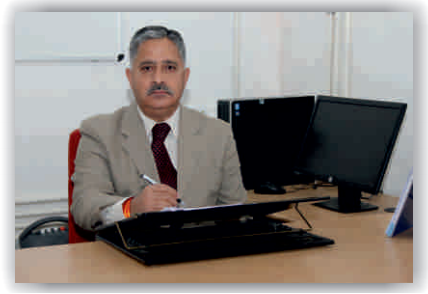 M.K Sharma, Dist. & Sessions Judge, Samba was the chief guest; Ashok Kumar Salotra, Director, Sports, SMVDSB were guests of honor and Ms. Swati Gupta, Secretary, DLSA, Samba was the special invitee whereas Prof. Devanad Padha presided. Speaking on the occasion, MK Sharma expressed gratitude to the University for collaborating with DLSA and shared the vision and objective of DLSA which is social transformation by reaching out to stake holders. Ashok Kumar, expressed pleasure to be part of sports meet and expressed all possible support from SMVDSB. In 100 and 200 meter girls’ race, convened by Dr. Archana Kumari, Neha Rani ( MCNM) was the first winner, while Priyanka Padha ( NSS) was second and Jasveen Kaur (TTM) was third. In 100 meters boys race, Mohd. Rashid ( Physics) was first, Saksham ( Zoology) was second and Mohd. Wasim ( Economics) was third. In 200 meters, Mohd Rashid ( Physics) was first, Ashish Badyal ( Physics) was second and Surendra Kumar was third. In Kho Kho ( girls), convened by Dr. Neena, winners were In Kabaddi, convened by Dr. R. Sudhkar, winning team is school of business studies, runner up is school of basic and applied sciences; In volleyball, convened by Dr. Bhavna Arora, the winning team was School of Business Studies and the runners up was from School of Basic and Applied sciences, In Shotput, convened by Dr. Vishal Singh. In the boys the winner are Saksham Sharma,(Dept. of Zoology) Karan (Deptt. NSS) and Bhanu Sambyal (Deptt. BVOC). In Girls category the winners are Ms. Jasveen Kour (Deptt. TTM) Ms. Ritika Sharma (Dept.. TTM) and Ms. Poonam Sharma (Deptt. SCM).